Status: This poster is being completely revised. 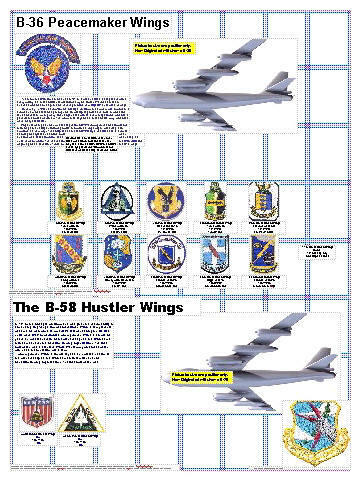 Originally the B-29/50 and B-36 were to share one one poster, but there was simply not enough room to show everything. This resulted in the decision to have a dedicated poster for the B-29/50 and combine the B-36 and B-58 into a new poster. Scans have been acquired of all patches. Unit information has been compiled for captions, but new layout has not yet been prepared.